The amount of land burned from wildfires has decreased nearly 25% across the planet in the past two decades, according to a new study. The reason? Humans have increased the acreage on Earth dedicated to growing food, which has substantially reduced the amount of forests and natural spaces that routinely experience fires. Why it matters: Fires are a natural part of Earth's ecosystem — they clear dead trees from forests and keep plant growth in check in grasslands. The fact that there has been such a precipitous decline in natural fires globally has important ramifications for global warming, conservation and biodiversity. What they found: The researchers took a global snapshot of fires based on satellite surveillance data collected between 1998 and 2015. 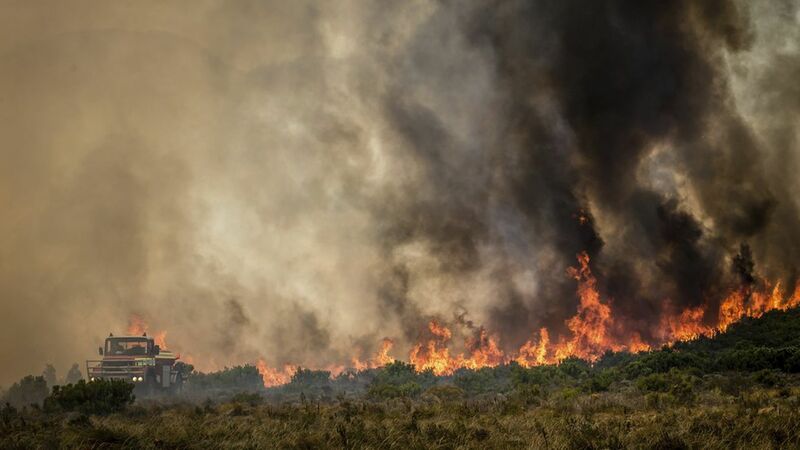 The largest decrease in fires was found in savannas that have been converted to agricultural uses. "(The) long-term declines were more associated with transitions from natural to managed landscapes," the researchers wrote in Science. In these areas where humans had moved in, fire management techniques were "employed to protect high value crops, livestock, homes, infrastructure, and air quality."